Creating reflected ceiling plan with free templates and examples. Making reflected ceiling plan has never been easier. Reflected ceiling plan is part of the overall architectural drawings. It shows the lighting, sprinklers, smoke detectors, and any other objects that are located in or on the ceiling, such as the mechanical air diffusers and grilles. 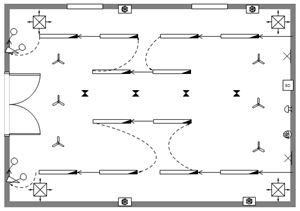 Reflected ceiling plan (RCP) is named so because it is a mirror image (reflected) view of the floor plan. You are looking up at the ceiling. You will see the lights and various ceiling elements in the view. With our quick-start reflected ceiling plan templates in our software, you can quickly and easily draw reflected ceiling plan. You will never expect that drawing reflected ceiling plan could be so easy since it requires no previous experience or specialized training. Edraw provides you many standard built-in symbols and templates which will greatly facilitate your drawing of reflected ceiling plans. 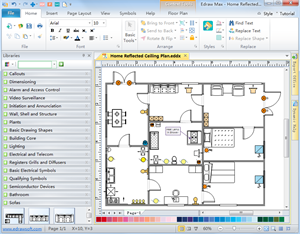 Just drag and drop the reflected ceiling plan shapes you need on the drawing page and rearrange their location as you like, then a reflected ceiling plan is finished with just and a few clicks. Believe it or not, the whole process will give you so much sense of success. Download Reflected Ceiling Plan software and view all examples for free. Edraw offers you many standard reflected ceiling plan symbols which will surely be of great help when you design reflected ceiling plans. 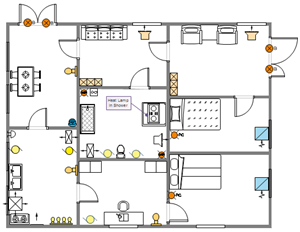 Edraw home plan templates. 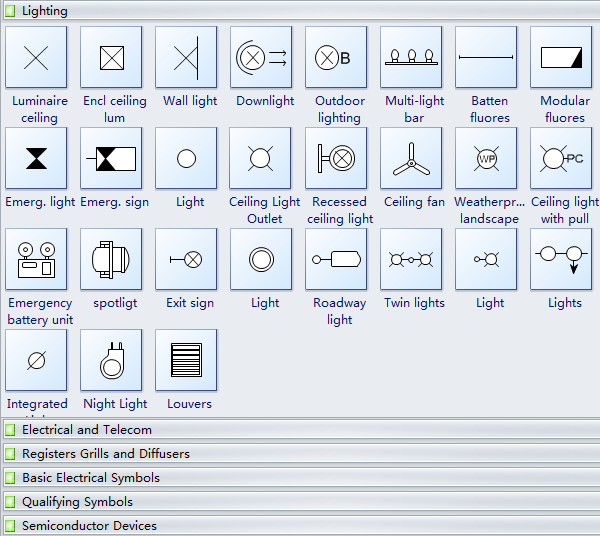 Commonly used symbols like lighting symbols, electrical and telecom symbols, registers grills and diffusers, basic electrical symbols, qualifying symbols and semiconductor devices are available in the software. A simple home reflected ceiling plan template is ready to use in vector format for your own designs. Learn reflected ceiling plan design guide here. A conference room reflected ceiling plan template is ready to use in vector format for your own designs.